#jonforeman of #switchfoot asks what makes us come alive #whenwecomealive. For me it's the things about which I am passionate: God's love for me, the beauty of creation, friendships, music + songs that move me + touch my heart, movies that do the same, great sporting achievements, etc... AND being able to share these passions with others and help ignite similar passions in them. My motto? Be passionate!! Frère Bob and his pumpkins. 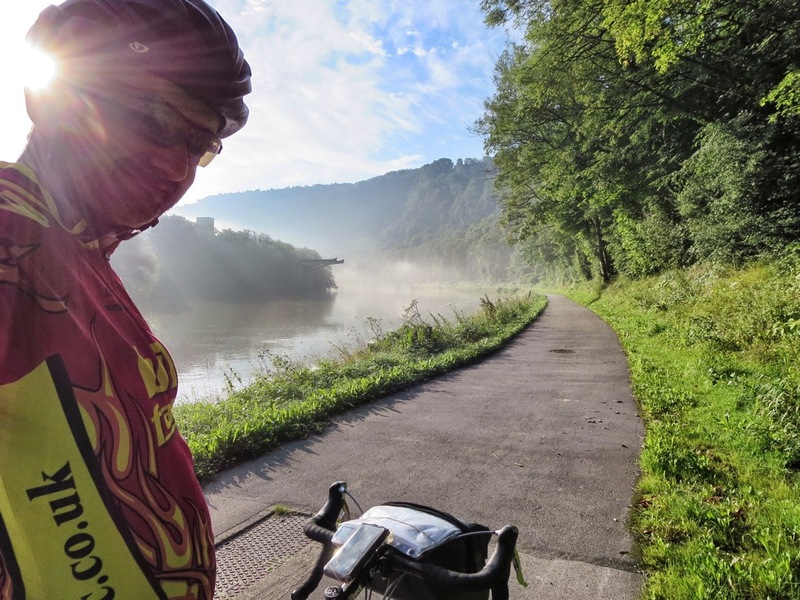 It’s a few weeks now since I arrived at the shrine of St. Boniface in Fulda, Germany at the end of my 9 day sponsored cycle from Lourdes for Alder Hey Children’s Hospital in Liverpool. It’s about time I shared some of my experiences. I arrived in Fulda, Germany (home of the shrine to St. Boniface) on Sunday July 27th as planned, overall very happy with the ride. So far over £1,800 has been raised, including over £1,300 (inc. GiftAid) on the Justgiving website. I’m still hoping to break the £2,000 barrier by the time all the money has come in. Williams was a genius, a warm-hearted, funny, frighteningly intelligent, mad genius, one capable of making you laugh and cry. My favourite films of his, Good Will Hunting + The Fisher King both involve characters dealing with psychological trauma. In the former he plays a kindly, down to earth therapist and in the latter someone who's psyche is torn asunder by the violent death of his wife. There is a scene in Good Will Hunting (in my all time top 5 films) in which Williams' therapist, Sean, gives to Will (Matt Damon) the most brilliant riposte on the theme of life experiences after Will had presumed to have learned all about the therapist from a watercolour painting of his hanging in his office that Will had analysed and metaphorically torn apart. It is a brilliantly written scene delivered in an unshowy but heartfelt manner by Williams. He received his Best Supporting Actor Oscar for this role. "Dead Poets' Society" + Robin Williams - thank you!! The real teachers inspired by the film "Dead Poets' Society". Click on the above link to go to a BBC article about teachers who have shared their experiences of being inspired to become teachers by this film starring that wonderful actor/comedian Robin Williams whose loss is being so keenly felt by people thought the world. Here's my own response in the light of his death. This film inspired me too. I'll never forget watching it in a crowded Birmingham cinema in 1989, aged 20 (studying Music at Liverpool Uni. ), the cinema filled with people about my age, during a weekend Catholic Student Council team meeting. Looking back, I don't think it is a "great" film artistically. It's shamelessly manipulative. And yet... very few films have ever fired me up or inspired me to the extent that this film did back in '89, and as a Film Studies teacher I've seen many films! Here's another lovely reflection, this time on friendship, from the makers of the DVO iPhone app. May you all be blessed with the kind of friendships it describes. We were not created to do life alone. No man, or woman, is an island. I have come to believe more and more that we need each other, we are all connected. I grew up with an idea that to 'need' another human being was a sign of weakness... but after a few years of living, I think it just shows our inherit need for closeness, for sharing and for community.